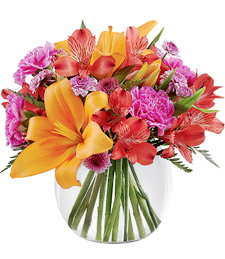 Colorful, cultivated, and simply divine! 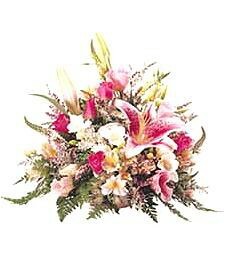 Truly flatter with this beautiful bouquet arranged with exquisite artistry by a talented florist. 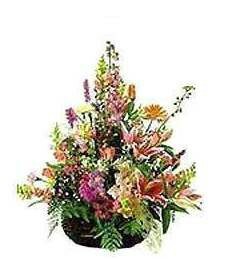 Why wait--have a delivery sent today! 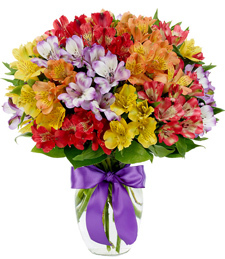 Gaze up at that monochromatic Reruvian Sunset as sunrays of deep red, mystical purple, shimmering gold, and blazing orange dash over a fiery sky. 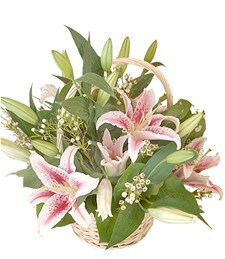 Long walk along the beach and a bottle of that favorite red wine are a match made in heaven for a romantic night ahead! 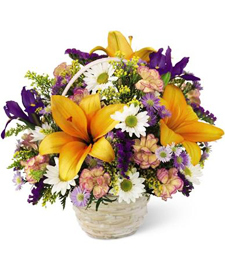 Bright purple, orange, pink and yellow flowers spring tall from this charming basket. 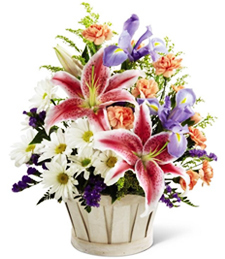 Stargazers, gerber daisies and snapdragons make this a unique and extremely attractive gift for someone you love. 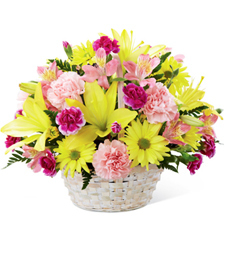 Petals of pink and white overflow from this low and compact centerpiece, making it the perfect addition to any table. 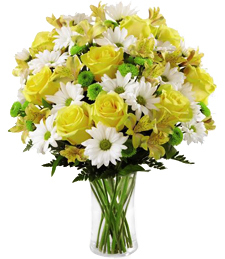 Treat someone you love with this gorgeous medley of felicitous, fresh flowers. 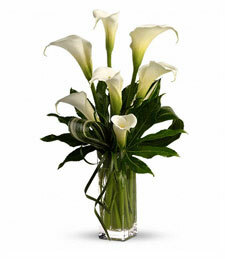 For the sophisticated someone who constantly surprises you with her stunning beauty and vast intellect, when it's your turn to surprise her nothing less than elegant white calla lilies will do. 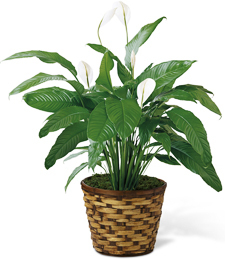 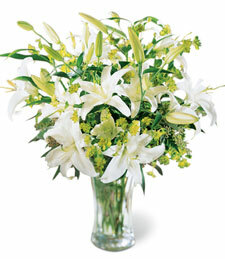 The chic ivory flowers are accented with graceful greenery in a tall glass vase for a modern, romantic arrangement. 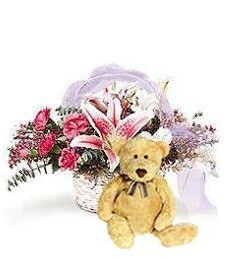 Charm a particularly precious person with pink and white flowers overflowing from a charming basket and accompanied by an adorable cuddly bear! 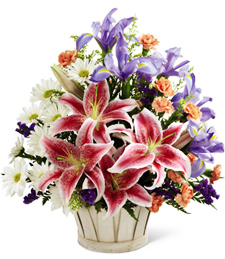 Express your dear affection and sentiment�order a delivery from a local florist today! 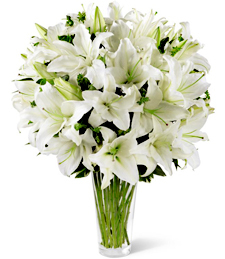 Fanciful and fresh, these pristin white flowers sparkle with beauty and grace! 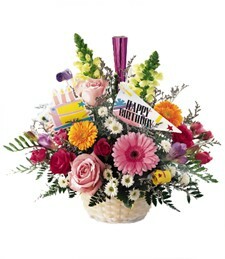 Breathtaking appeal and sweet floral scents follow these blooms where ever they go, making them a truly stunning gift! 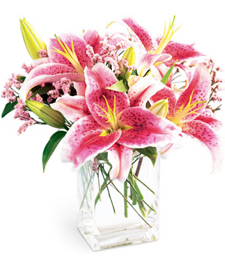 Lush and luxurious lilies spring to life from this vibrant and beautiful arrangement. 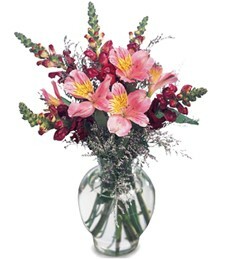 Flowers are a great way to show you care! 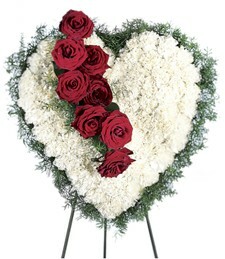 What a wonderful sentiment for that special someone! 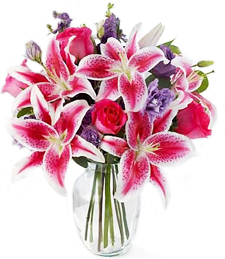 The gift of sensual aromas has arrived in style and radiance! 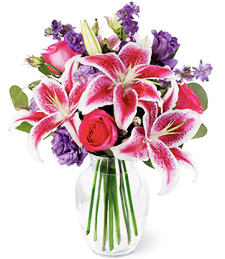 Charm them from head to toe in bold hues of dazzling pink andf mystical purple. 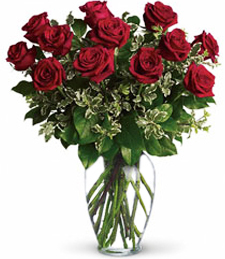 Your deepest affections are sure to be rewarded.